September | 2011 | Shelf Elf: read, write, rave. Blackout is a book about how sometimes we only find time for “unimportant” things when life leaves us no other choice. (I am pretty much ready for life to do this to me right now. I could use a little forced “unimportant” time. I have a stack of books I’d read for hours and I’d swing by our local ice cream place to see if they were giving away all of their stock for free). John Rocco’s art is rich and dramatic, with so many shades of dark greyish blue and silver and black that you will feel immersed in the simple tale. The illustrations are like night on the page, really luminous and cozy, and the message is simple: sometimes it takes something dramatic to reveal the magic that is possible in ordinary life. All of the different perspectives help to make this book really captivating: the neighborhood views, the roof scene, and the illustrations inside the family’s house. You feel like you have a sense of the whole experience from the inside out. This is a book to put in your “blackout box” along with a flashlight, your favourite board game, and a big bar of chocolate. A whole bunch of years ago there was a big blackout in Toronto. I think everyone who lived here at the time remembers where they were. My then boyfriend was in the middle of tiling our condo. At the very moment he flicked on the tile-saw-thingy, the power went off. We peeked out in the hall and saw that the whole floor was out. Immediately we were sure that we’d messed up the power in the whole building. Whoops. Eventually we realized that it wasn’t us. It was much, much bigger than us. I was working in a pastry kitchen at the time and I just remember having to go into work and my boss was so foul because we were trying to save all of the stuff that was in the freezers, but we ended up having to pitch so many croissants and danish that he was practically frothing at the mouth. He was generally a crusty individual, but the blackout forced him to a whole new level of misery. So I can’t say that I have particularly fond blackout memories. I’d much rather try out Rocco’s version of the experience, with a barbeque and stargazing on the roof and then board games by candlelight. A beauty indeed. Not to be missed. Blackout is published by Disney Hyperion Books. This entry was posted in Illustration, Picture Books on September 29, 2011 by shelfelf. Those who know me well know that I if I’m not reading, chances are I’m likely baking (or eating… or planning to eat… or looking at pictures of things to eat). 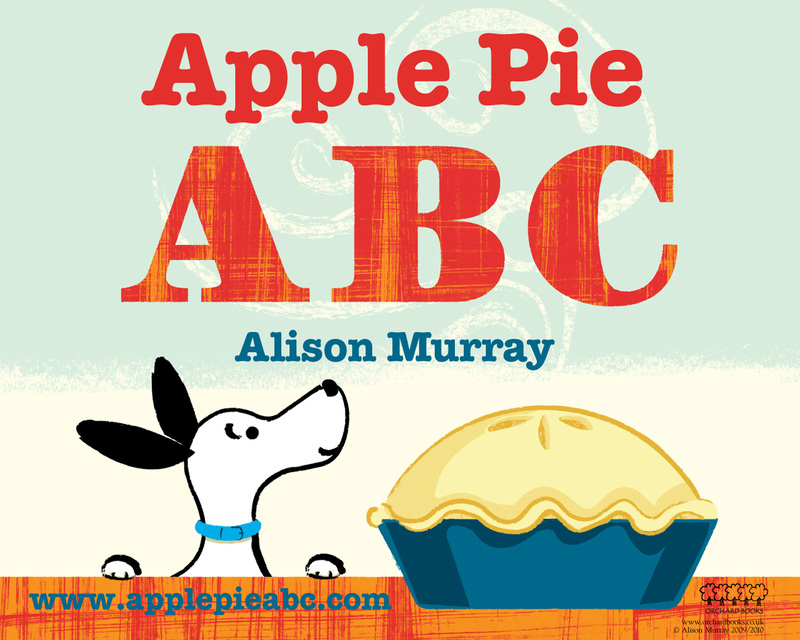 Last week, Alison Murray’s ABC book, Apple Pie ABC, arrived at my library and it got me thinking about pie. A book that has: illustrations with old-fashioned charm, a dog who is naughty-yet-lovable, and pie, is a book that I had to read. I am partial to ABC books in general. In fact, I think I just might begin collecting them. I think there’s real scope for creativity in an ABC book and Murray has certainly capitalized on this in hers. Any dog owner will appreciate (and likely recognize) the age-old tale captured on these pages. Dog smells cooking. Dog goes to kitchen for some. Dog is denied. Dog pouts. Dog plots. Dog finds a way. Bye-bye dessert. (I could tell you the tale of my tenth birthday cupcakes, but I’ll save that for another time). Murray has created a sweet, gently humorous, and gorgeous book. The paper itself has a lovely matte finish, which gives a rustic effect, just right for a book about such a humble treat. The colours on each page remain the same through the whole book and the linocut designs are retro and simple but perfect. There’s a clean feeling to all of it that still manages to be warm and the little dog’s character shines. You will root for him, even though you know you shouldn’t. Apple Pie ABC is published by Hyperion. 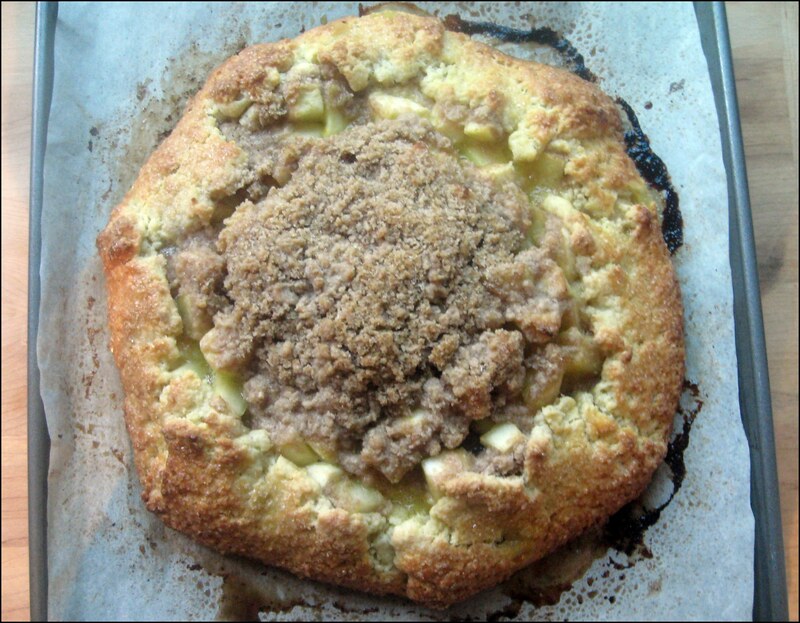 Rustic Apple Pie is published by me. This entry was posted in Illustration, Picture Books, YumYum on September 25, 2011 by shelfelf. Her name is Bronwyn. She is probably five. I think the world would be a better place if we all had a conversation with a kindergartner everyday. This entry was posted in General on September 19, 2011 by shelfelf. I was pretty excited to read this. One was a picture book that my students got really excited about last year. They had so much to say about it. My favourite comment? “Can we do an art project about this book Miss Millar?” We never got around to it and I wish we had. I think Zero will inspire just as much discussion and it could easily lead to some lovely artwork too. Zero feels empty, like she doesn’t count. After trying to be everything she isn’t, she finds a way to be herself and to feel important. Just like in the companion book, the illustrations here are really clever. 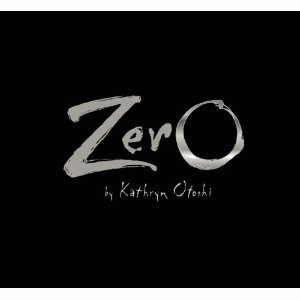 Kathryn Otoshi finds a way to convey a lot of energy and different feelings by varying the colour, thickness, and shapes of the number characters in her story. Kids will enjoy figuring out all that the pictures have to say. I think that because the premise is similar to what the author explored in One, it wasn’t quite as delightful simply because the concept wasn’t completely new. The first book really captivated and this one certainly pleases. It’s made for classroom reading, conversation, and definitely for art projects. You can count on it. (Sorry. Couldn’t help it). This entry was posted in Art, Picture Books on September 13, 2011 by shelfelf. This is going to be a much speedier review of The Rites & Wrongs of Janice Wills than this book deserves, because today was the first day of school and this librarian is tired right down to her bones. Yes siree. How many books can one girl shelve all alone? A kazillion. That’s how many. My wrists actually hurt, if that’s possible. But enough kvetching. I should be happy because now I have a library full of books to poach from. I know that my library needs a copy of Joanna Pearson’s YA debut because it is fun and witty and tightly written. 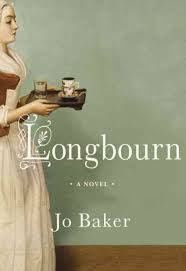 It has a similar tone to Maureen Johnson’s books. It’s not showy. It stars a pretty ordinary nerdy girl, insecure but hopeful, who dreams of becoming a star anthropologist and gets a lot of practice by observing her peers and the strange rituals of high school life. But Janice uses her anthropology passion to hide from life a little bit. It gives her an excuse to not put herself out there and experience things that many other teenagers try out and mess up and learn from. For instance, her town’s Miss Livermush pageant, which Janice’s mother is dying for her to be involved in. Janice finally agrees, deciding that being involved is really just all in the name of science. Of course along the way there is some romance and there are lessons to be learned, and Janice finds herself living the ritual in ways she hadn’t ever expected. Sure to make anthropology cool (not that it wasn’t already), The Rites & Wrongs of Janice Wills is a sassy, feel-good, back-to-school read. 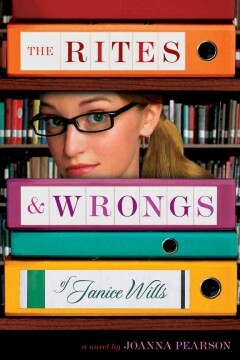 The Rites & Wrongs of Janice Wills is published by Arthur A. Levine Books. This entry was posted in Teen/YA on September 6, 2011 by shelfelf.